This weekend took me to two favorite New England destinations. For those of you considering some shorter stints this summer, my weekend travels might just yield some inspiration. 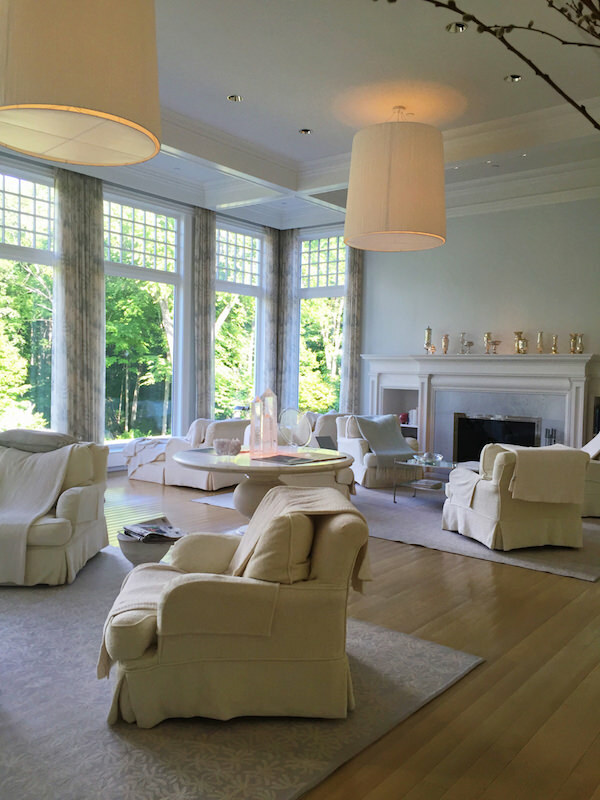 On Saturday, I was honored to participate in the third annual Day of Design at the Mayflower Grace, above and below, in Washington, CT. Sponsored by John-Richard with media partner New England Home, the program included four informative and entertaining panels, a lovely terrace luncheon as well as day end drinks and book signing. includes 30 luxurious rooms, delicious dining, pool, tennis and its renowned spa, below. 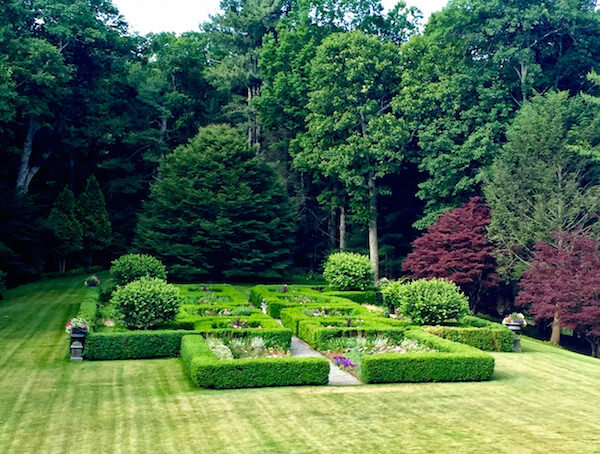 and some recent sprucing up by designer Rod Pleasants has only added to the bucolic appeal. 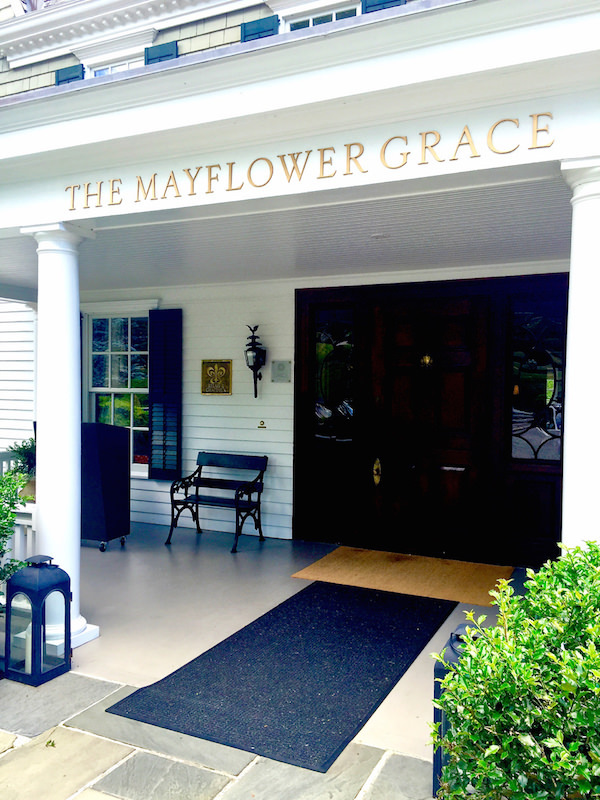 To learn more about the hotel, stop by my first visit to the Mayflower and the Spa. After a quick regrouping at home, I headed on Sunday to an all time favorite annual destination. Migis Lodge is a resort that celebrates the beauty of its natural surroundings with timeless traditions and wholesome lifestyle. 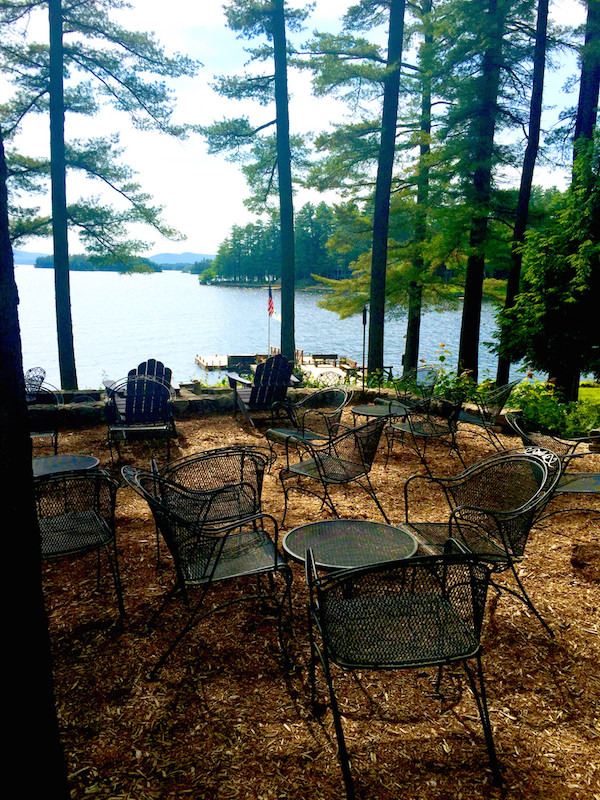 Whether it’s athletic activities or a quiet day reading by the lake that floats your boat, Migis accommodates all tastes with old fashioned hospitality and service. I have documented my yearly visits, but for those new readers interesting in learning more, the beginning (ie – my first Migis post) is probably the best place to start. 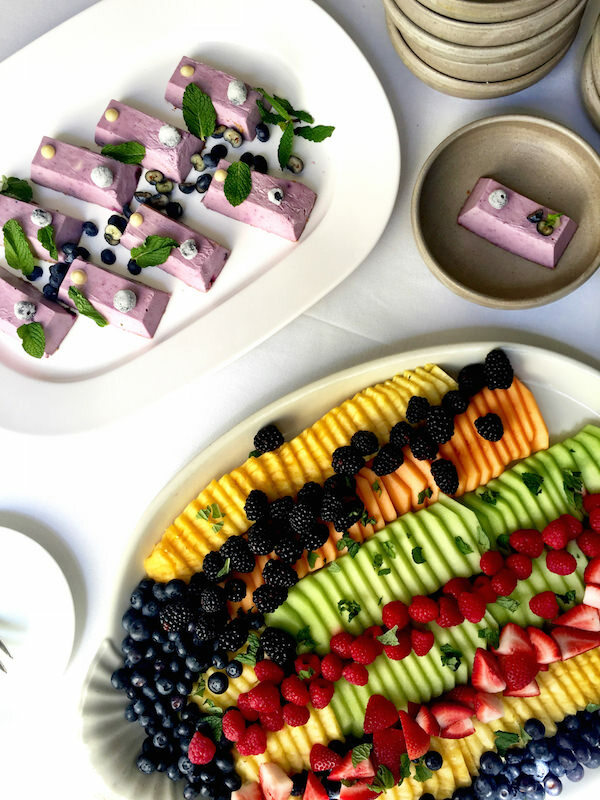 Celebrating its 100th anniversary this year, Migis is where old school meets modern world, with only a slight, yet very comfortable, nod to the latter. 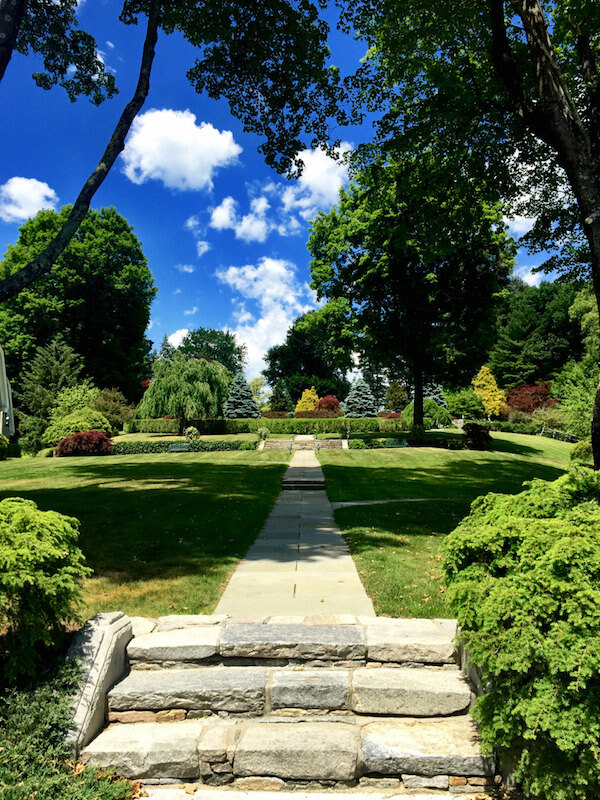 Often frequented by multiple generations of families, who come year after year, Migis is a civilized and welcome respite from our busy technologically driven lives. 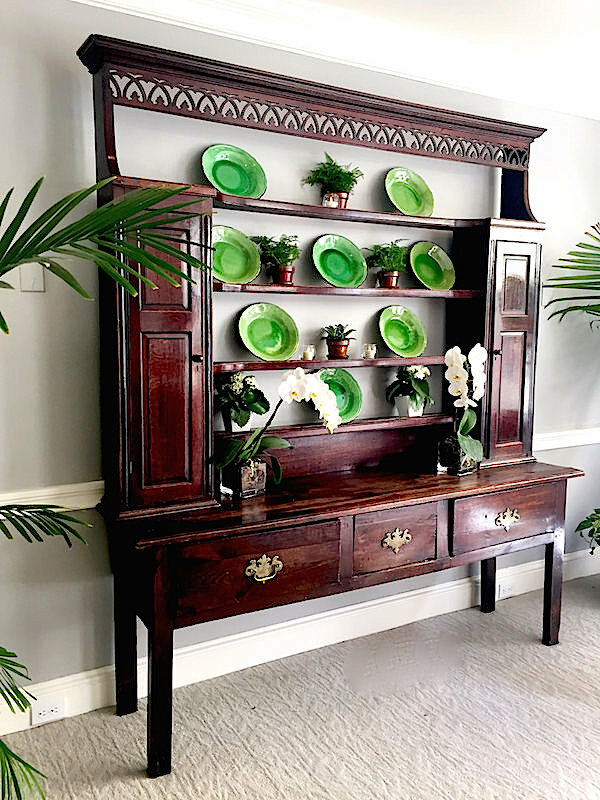 While the timeless charm of Migis has seen quiet and modest changes over the years, 2016 marked a few more noticeable improvements. You can see how proud Heather, Scott and Sarah are about the new lobby. 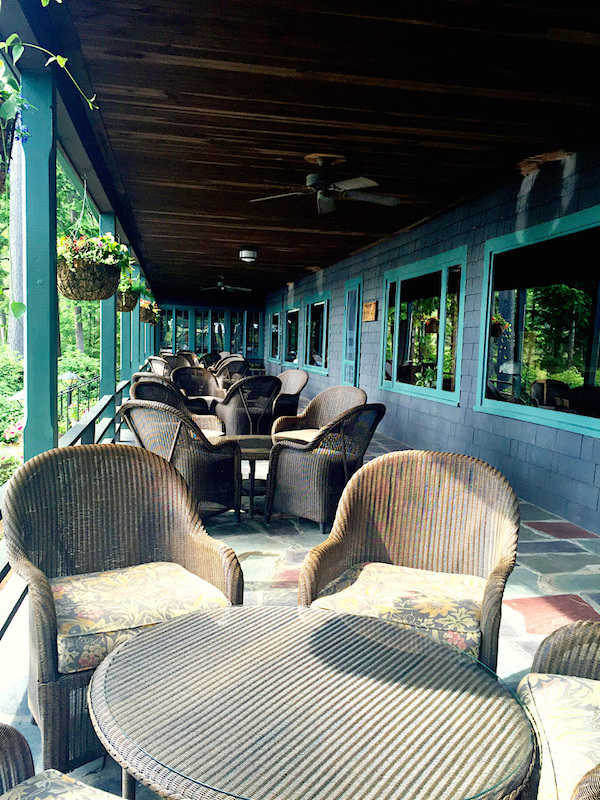 Including a small gift shop, it adjoins an expanded veranda where evening cocktails are served (as well as on the open terrace shown at top) facing west for sunset views of Lake Sebago. 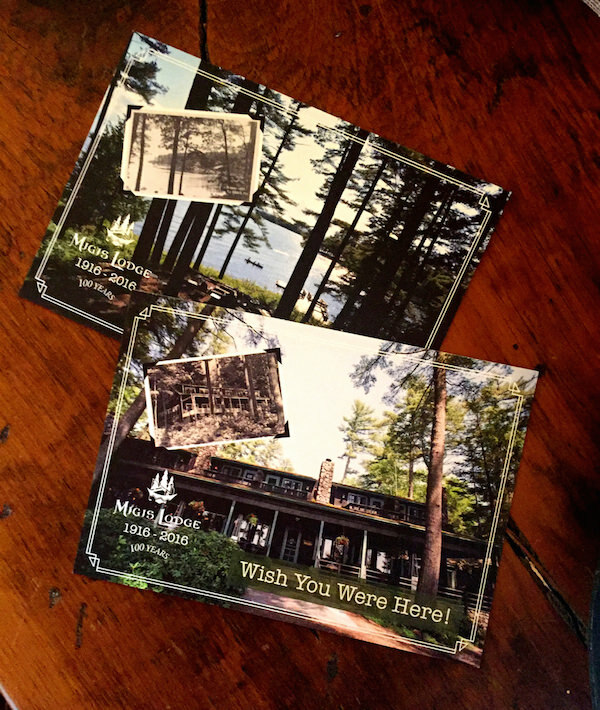 Migis’ centennial coincides with the 100th anniversary of the postcard, so special versions have been designed for guests to share the Migis magic snail mail style. And a centennial gift bag is offered upon check-in filled with down east goodies. I won’t ruin the surprise but suffice it to say that one of the comestible items didn’t last very long. Over the last 100 years, Migis has had a long and distinguished guest list. 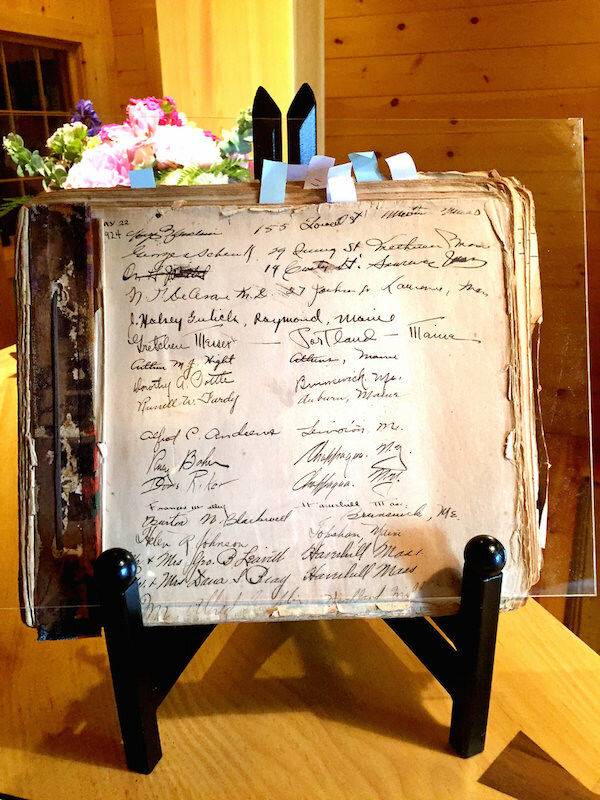 A peek at history is on display at check in, showing a page from the guest register from 1924, the year the resort officially became known as Migis. 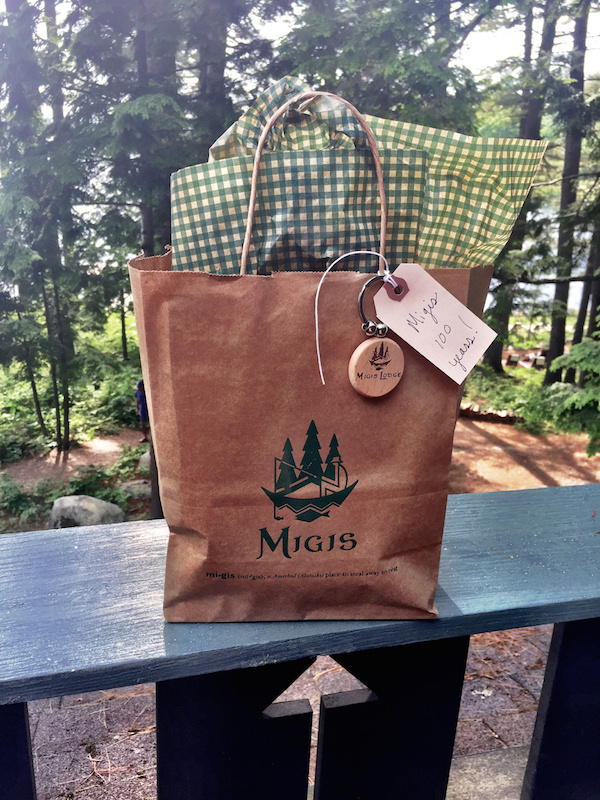 As legend has it, Migis was named by a young Indian who had been searching for a new home that embraced his love of beauty, peace and happiness. 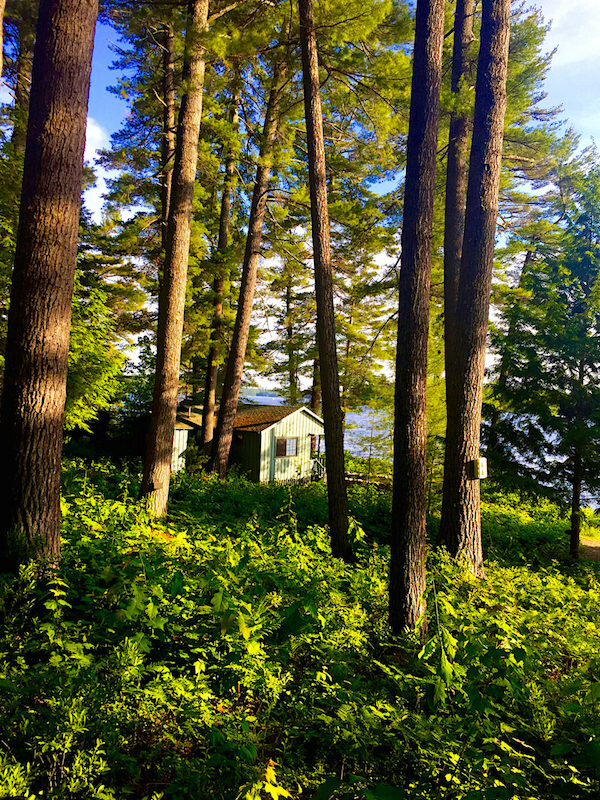 When he found the forest-filled grounds on the banks of the great lake, he gave it a name that meant “place to steal away to rest”. Not very much has changed at this very special spot. 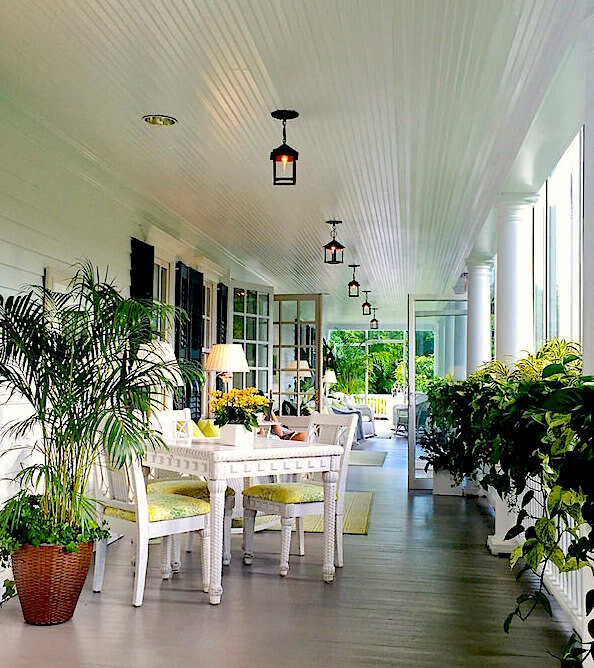 This entry posted in interior design, travel. 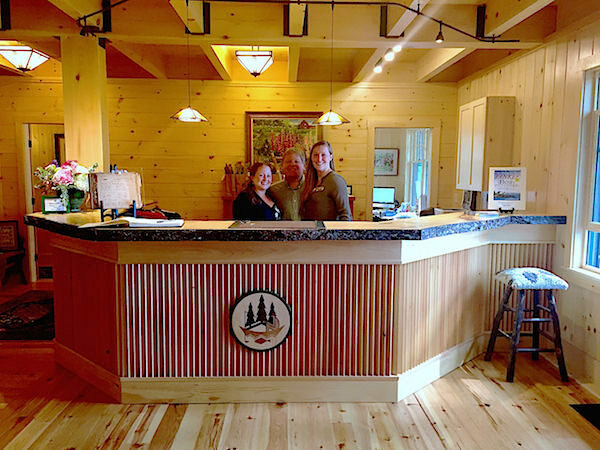 Entry Tags: Mayflower Grace, Migis Lodge, New England, Travel Bookmark the permalink. Yikes! Not sure I can get behind the new look at Migis, but will reserve judgement til I check in this August. One of the most special places on Earth. This place looks lovely! I wouldn’t mind checking in to recharge the batteries! 81 queries in 0.520 seconds.